View availability and book a room! 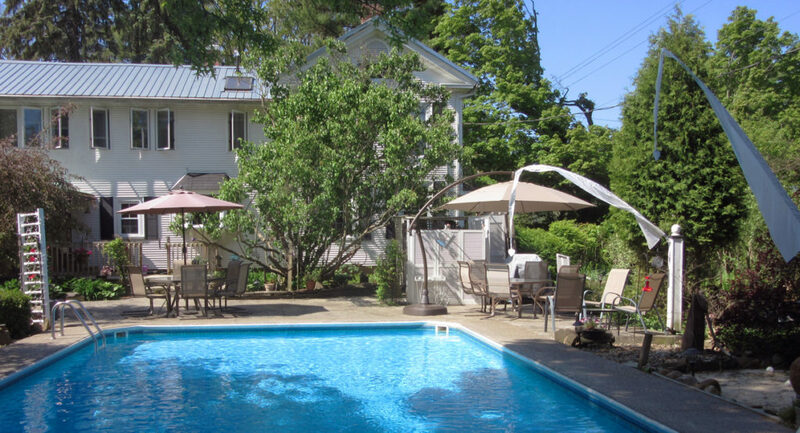 The accommodations available at 1830 Hallauer House Bed & Breakfast in Oberlin, Ohio consist of our three guest rooms themed after the Civil War – the Confederate Room, the Union Room, and the Mason/Dixon Suite. 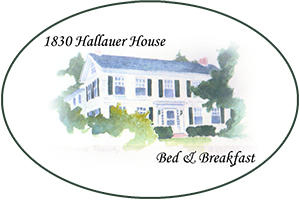 Since 2003 we have welcomed guests to Hallauer House Bed & Breakfast from all over the world and we look forward to many more years and many more guests!In addition to the accommodations in each of our 3 guest rooms we also have many unique amenities that you won’t find anywhere else, and at a great price! 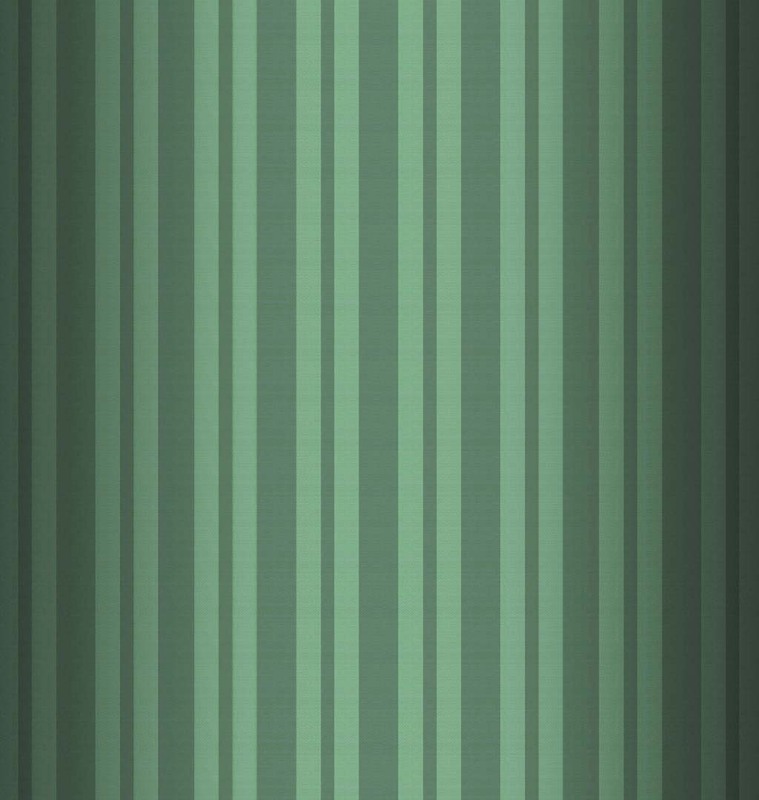 To see more about each room, check out our rooms and rates page. A recreation room combined with a fitness center downstairs. A large extensive garden which we call the Garden of Misfit Junk. And of course don’t forget our amazing complimentary 4-course breakfasts! 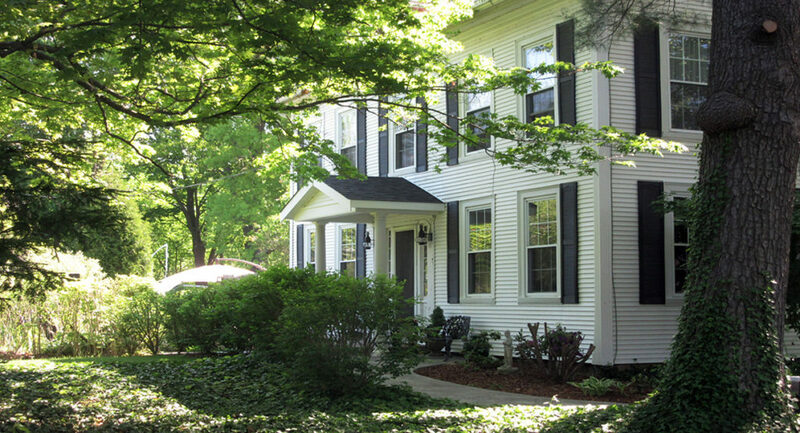 Hallauer House B & B is located in the country, but just 4 miles from the center of Oberlin which is home to Oberlin College and Conservatory. 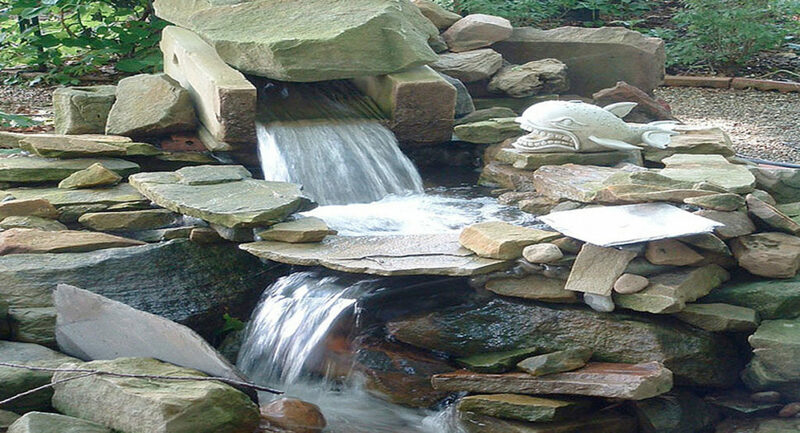 In addition we are just 2 miles to the highway, which takes you to Cleveland Hopkins Airport and to downtown Cleveland.Hallauer House Bed & Breakfast is ranked #1 in Oberlin on Trip Advisor for superior accommodations and friendly atmosphere. 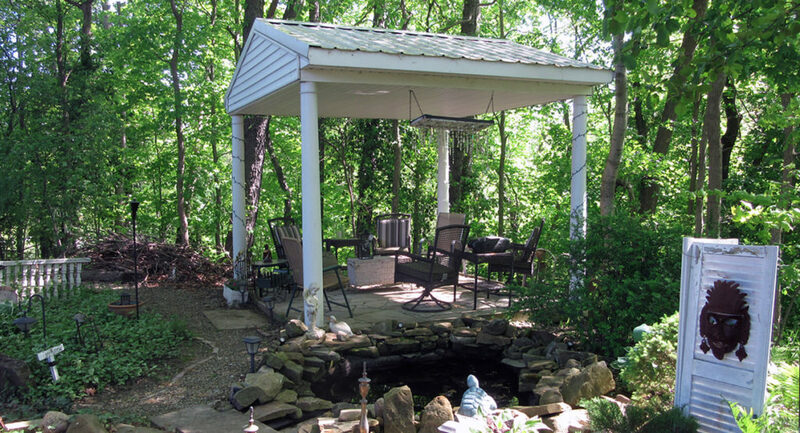 We have also received the Unique Lodging of Ohio – Runner Up award presented by the Ohio Hotel and Lodging Association and twice we have been finalists for Ohio B & B of the year. 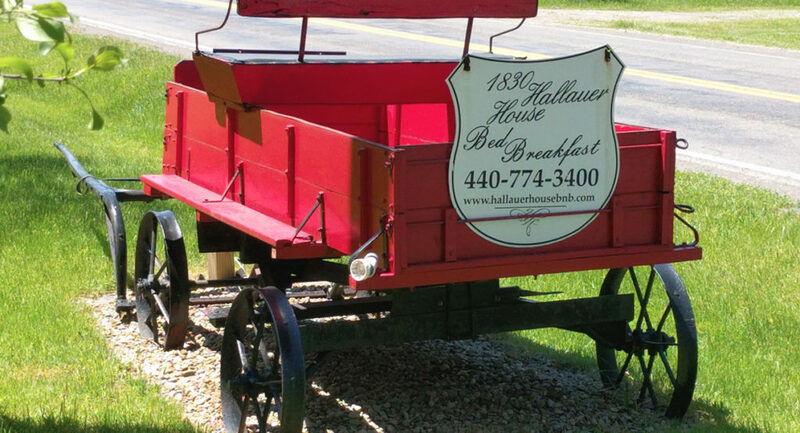 As a result you can rest assured that you will enjoy your stay at the 1830 Hallauer House Bed & Breakfast. Susan and Joe provided wonderful hospitality for our anniversary trip. Their B&B is really a destination B&B with a sauna, Jacuzzi, game room, pool, beautiful relaxing gardens and interesting Civil War mementos and history. They can host 13 people which makes one consider it for a family reunion as well. Breakfast was a gourmet feast with Eggs Benedict etc. fixed to perfection. And all at a reasonable price. Scrap the hotels folks!! This is the place to stay in Oberlin, Ohio. We look forward to returning someday. Excellent hosts, beautifully furnished and decorated rooms which are immaculately kept and most fantastic gourmet breakfasts made from scratch every morning. Jacuzzi in one of the rooms is a definite treat. I am sorry we did not have time to take advantage of the Spa and the recreation facilities during our stay. A short drive from Oberlin College. We had a wonderful stay and are looking forward to staying at Hallauer B&B again in the fall. Thank you so much to Joe and Susan for making our stay so comfortable and relaxing. I highly recommend Hallauer Bed and Breakfast. I felt right at home the minute I pulled up in the parking lot. The grounds around the house are lovely. I was greeted by the hosts who made me feel comfortable and got me settled in. I enjoyed sitting for a rest in the music room and hope to use the spa room on my next visit. The dining room table settings were a feast for the eyes as much as the breakfasts were a delicious meal for body and soul. I enjoyed hearing a brief history of the house and town of Oberlin one morning. The room I stayed in was decorated in unique pieces from the 19th and 20th centuries, including beautiful quilts. Thank you for a wonderful stay and I hope to be back soon. A real treat- like going back in time. Lots of historical knowledge. Simply amazing breakfasts! They even tested us to “to go” breakfasts when we had early meetings. Quiet location just outside of town made it feel more like a getaway than a business trip. My-oh-my what a wonderful breakfast we had every morning of our three-night stay! We are vegan and gluten-free and our hosts were “troubled” to provide something extraordinary each time! 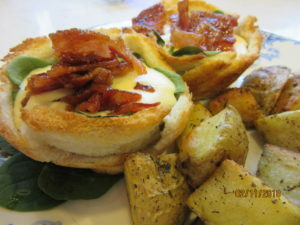 Susan’s breakfasts easily rival the best of breakfasts found in big cities! We had the opportunity to learn the history of everything displayed throughout the house as well as receive an unsolicited lecture about Oberlin’s/regional history. I so appreciate this more than “just being” in a B&B and not know what you’re looking at! Our hosts were both kind and helpful in our journey to learn about Oberlin College and the local area. The location was perfect, too: not too far away from where we needed to be and in the beautiful and peaceful countryside. Without doubt, the most comfortable place to stay when visiting Oberlin, Ohio. 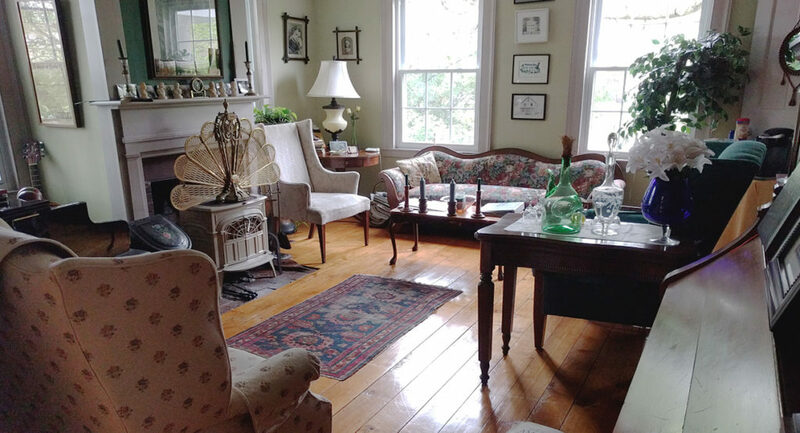 Susan and Joe Woodward are the perfect B&B hosts — friendly and helpful without being intrusive. The appointments of the rooms are really thoughtful — with snacks, drinks, toiletries and lots of information about the area. The rooms are large and comfortable with lots of places to hang and store things. The breakfasts are generous and the Woodwards really make an effort. Joe is a civil war history buff and breakfast conversation is always interesting.